Andrew W.K. on his new album "You're Not Alone"
Rock musician Andrew W.K. is beloved not only for his bombastic, maximalist metal and transformative live performances but also for his work as a motivational speaker. If you ever go to one of his speaking engagements, whether or not you're a fan of rock music, you will feel an honest connection to him. He just released a new album called "You're Not Alone." It's his first in almost a decade. It's got a message of inspiration - sometimes delivered in song, sometimes in spoken word and Andrew reveals a lot of himself in the record, too. This month he kicks off a huge tour with dates all over the world. Andrew talks with Jesse about being compared to Mister Rogers, what he has been doing since his last album, and why sometimes he feels like Sisyphus - a character from Greek mythology forced to forever to roll a boulder up a mountain only to see it fall back down every time he reaches the top. 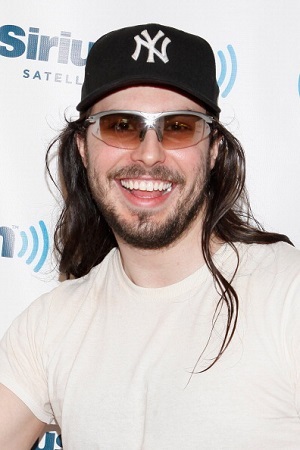 Click here to listen to Andrew W.K. 's interview on YouTube. 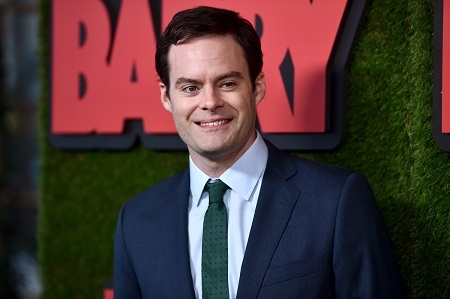 Bill Hader on his new HBO TV series "Barry"
You know Bill Hader from his time on Saturday Night Live. He was kind of an impressions guy - he did a mean Vincent Price. His most famous character was Stefon, from the Weekend Update sketches. He left the show in 2013 and went on to perform in movies like "Trainwreck," "Inside Out," and the smash hit "Sausage Party." Along with Fred Armisen, he also starred in the IFC show "Documentary Now!." His latest project is an HBO TV show called "Barry." Hader stars as the show's title character, Barry Berkman. Barry's an ex-marine turned low rent hitman in Ohio, turned aspiring actor in Los Angeles. Bill tells Jesse about working as a production assistant when he first came out to Los Angeles, the influence his parents had on his taste in film, and the struggle he had to project his voice. Click here to listen to Bill Hader's interview on YouTube. The Outshot: Van Morrison's live album "It's Too Late to Stop Now"
Van Morrison doesn't really like to perform live, but there certainly was a time when he was great at it and it's on tape. 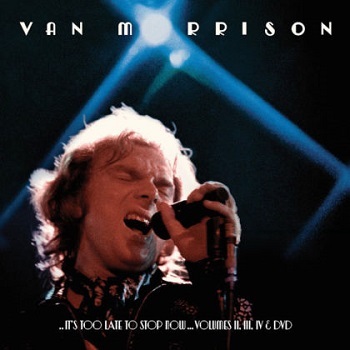 "It's Too Late to Stop Now" was Van Morrison's first live record. He taped it across three months of touring in 1973. It's partly the totally revolutionary stuff he was making in the early 70s and it's partly a fond, almost nostalgic goodbye to the great songs he sang with his first band, Them, in the 60s. Click here to listen to Jesse's Outshot on Van Morrison's "It's Too Late to Stop Now" on YouTube.